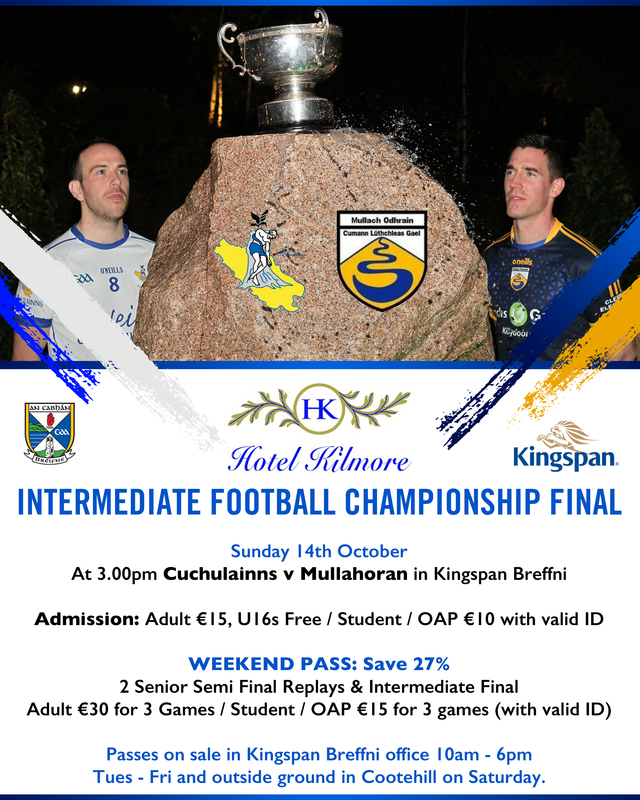 Fixture, Ticket and Parking Information for this weekend. Note: Everyone including U16s entering all grounds MUST have a ticket. Tickets on Sale outside all grounds. 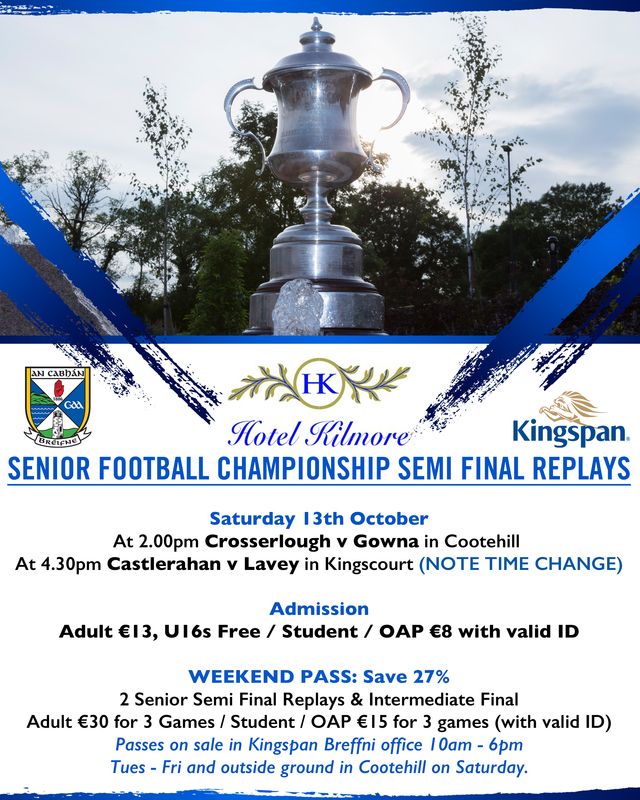 Anyone travelling to 2nd Senior semi final in Kingscourt should park on Shercock Road out of Cootehill or in Church Carpark or at Mart both on Shercock Road and then travel via Shercock to Kingscourt. Parking at football pitch Saturday and Sunday is restricted to players & officials only. Plenty of parking available in Mart Carpark, Church Carpark, Enterprise units opposite mart, Supervalu carpark, Medical Centre and On street parking. Plenty of parking available at the old Grenada, Old Supervalu at the top of the town, the Community Centre by Macs Garage, the salesyard, O’Reilly Concrete and Kingspan.